Beauty Blog by Angela Woodward: Does Blow Drying my Hair Damage It? Does Blow Drying my Hair Damage It? In a word, yes. Any time you apply heat to your hair you are damaging it to some degree. Even going out in the sun on a hot summer day can take a hit to your hair. But there are some super easy things you can do to protect it. Apply heat to your hair causes the cuticle layer to open up. By using cold air you help it close and smooth down a little more. 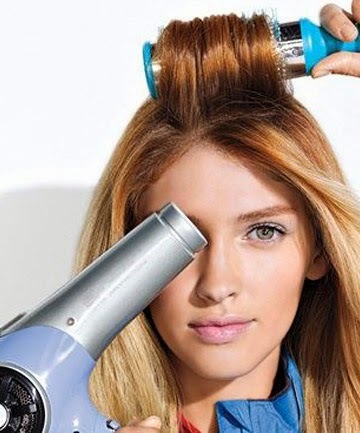 It will also help you maintain height, volume and set the style you create while blow drying your hair. 3 - Don't Do It if you Don't Have ToIf you shower after doing some yard work all Saturday and the rest of your evening's itinerary consists of Netflix and ice cream sandwiches, don't blow dry your hair. Even if it will be smoother and more controlled follow my steps for helping your hair air dry smoother, and give your hair a break! How can I Heal my Brittle and Weak Nails?